Some pepole using a D-Link Lan-switch such as D-Link DES-1228P,he can’t share Internet connection,If you are connecting directly to a Cable or DSL modem, you will need a router to share your Internet connection or a computer using ICS (Internet Connection Sharing) or Proxy. Switches and hubs do not allow you to share a single IP address to multiple computers. Q: Why does my Web Smart switch(DGS-1216T) always log me out when moving from page to page or link to link? A: Please ensure that you are using Internet Explorer 6.0.x or higher when configuring D-Link Web Smart switches, as other browsers or earlier versions of IE may cause some minor problems. You will not be logged out of your switch when using Internet Explorer 6.0.x or higher. Q: Why are my ping request slower when using D-Link Web SMART Switches? A: Since the Web Smart switches are not as robust in features as fully managed switches, they have a slower CPU. Therefore, depending on what process Web Smart switch is currently running, the ping response time will be varied and longer. Q: What is a Combo Port on an Ethernet Switch? A: A Gigabit Ethernet Combo port is an Ethernet port and a Mini-GBIC port (also called SFP´s) that share the same switch fabric and port number. A Combo port is a way to provide different types of connectivity without taking up unused switch fabric. These Combo ports can also be labeled as tied, meaning two different physical ports that can only be used one at a time. A Gigabit Ethernet Combo port consists of one 1000Base-T Gigabit over Copper port (provided), and one Mini-GBIC port (empty port that requires Mini-GBIC module). Q: Why can´t I share my Internet connection to multiple computers when using my D-Link switch or hub? A: If you are connecting directly to a Cable or DSL modem, you will need a router to share your Internet connection or a computer using ICS (Internet Connection Sharing) or Proxy. Switches and hubs do not allow you to share a single IP address to multiple computers. D-Link has is releasing its latest modular switch system, the DES-7200, which it hopes will make a mark in the academic world. The multi-layer chassis-based Switches were successfully trialled at the Charles Darwin School in Kent, where they were praised for their high performance, support and eco-efficiency, and are now being made available on the market. The company says that the system is ideal for schools and educational institutions as it provides core network coverage and no downtime. The manufacturers also describe it as “affordable” and “suited to the needs of larger campus locations”. 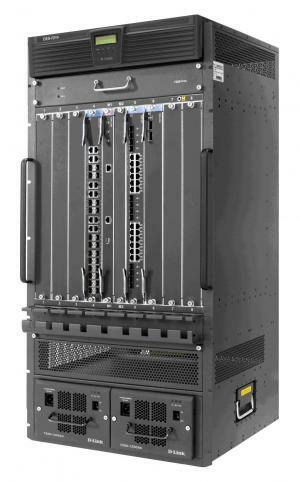 Industry standard compliance and a flexible modular architecture means the product, which can deploy Gigabit and 10-Gigabit switching, provides scalable expansion and value for money. D-Link has previously been praised for its green credentials, and was a Venture Green exhibitor at the HealthAchieve 2009 Conference and Exhibition. The Networking Equipment firm’s Green Ethernet Switches, aimed at schools, also seek to help them reduce their carbon footprints.